This landmark development for the former Kodak offices holds a prominent position as part of the Harrow View East Masterplan. The scheme includes a mix of refurbishment, renovation, and new interventions to provide in excess of 50,000sqft of lettable office space. 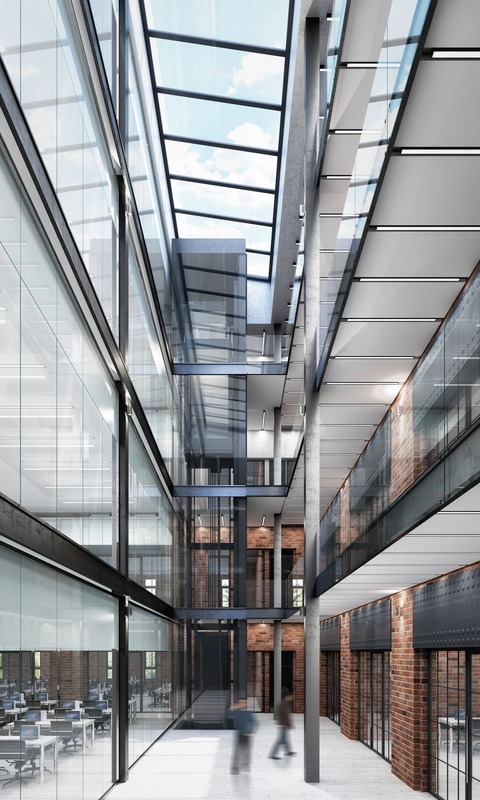 The four storey infill atrium celebrates modern building technology through the use of a feature glass lift, 18m long strip rooflights and curtainwall glazing. 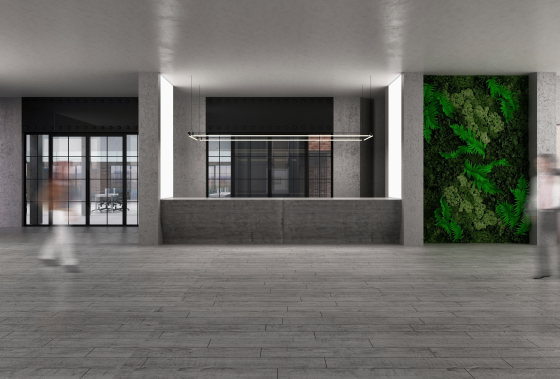 This modern aesthetic contrasts with existing Flemish bonded brickwork and new exposed services to provide a contemporary office that intertwines with its industrial heritage.